Ilford Galerie Prestige Heavyweight Matt is a double-sided paper with a smooth bright white finish. The 310gsm product is a true heavyweight and with 99.9% opacity it is perfect for professional quality photo albums, portfolios and display prints. Ilford Galerie Prestige Heavyweight Matt is a double-sided paper with a smooth bright white finish. The 310gsm product is a true heavyweight and with 99.9% opacity it is perfect for professional quality photo albums, portfolios and display prints. The media has an excellent ink loading capacity, which means that the paper does not cockle and as it is instant dry, the prints can be handled immediately. 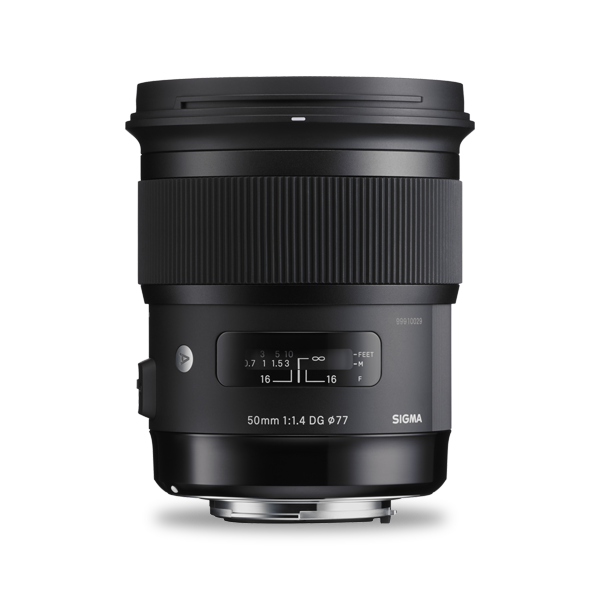 The bright white surface gives colour extra punch and text strong definition making the product ideal for images with fine detail, impact posters, display work, or exhibition prints. Prestige Heavyweight Matt is available in a range of sheets sizes and is compatible with both dye and pigment inkjet printers. 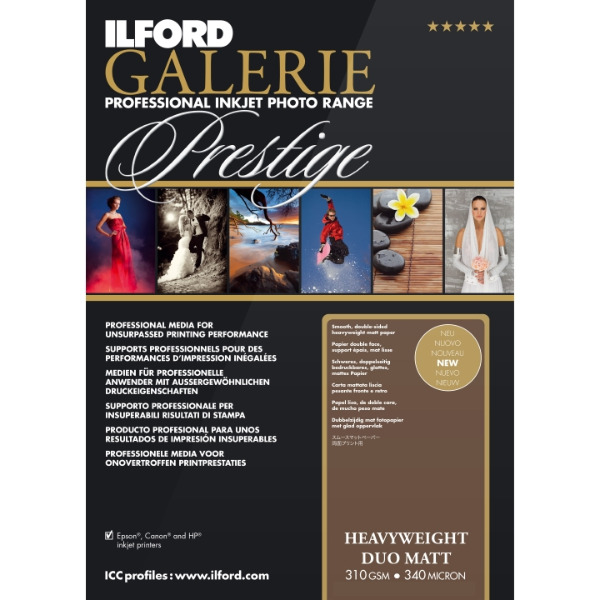 Ilford Galerie Prestige Heavyweight Duo Matt (310gsm) - 50 sheets of 13" x 19" (32.9cm x 48.3cm) A3+ inkjet photo paper.